Before the modern day loyalty card, there was the trading stamp. ​Stores would hand them out in order to attract customers. The stamps were then put in a book. When a customer accumulated a number of them, they could be exchanged with the trading stamp company for prizes through the rewards catalog. ​ They were popular from the 1930s until the late 1980s. Merchants and Retailers would pay a third-party trading stamp company for the stamps and would then advertise that they gave away trading stamps with certain purchases. The trading stamp companies created a market for repeat customers by encouraging them to return to the same place because it distributes the brand of stamps which the customer is saving. 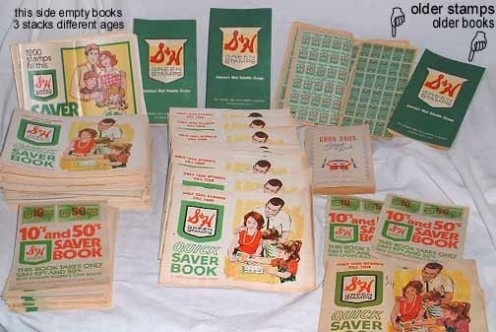 Trading stamps originated in 1891 at the Schuster's Department Store in Milwaukee, Wisconsin, mostly as a reward for using cash instead of the credit. ​Other retailers soon caught on and it spread like wildfire. One such company was the Sperry and Hutchinson Company which distributed S&H Green Stamps. It became so popular that at one time claimed that it issued three times as many stamps as the U.S. Postal Service. 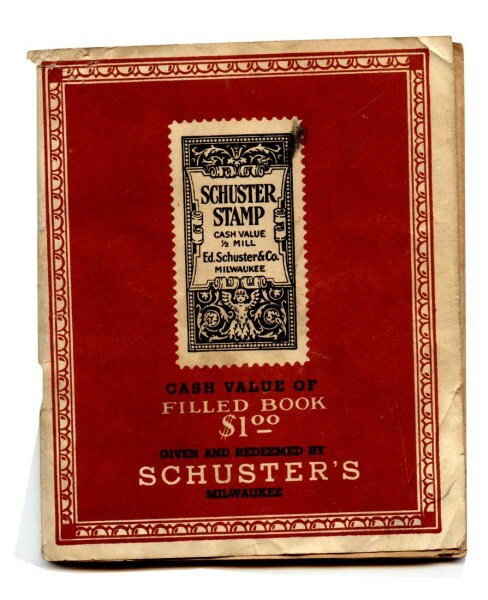 It began when a silverware salesman named Thomas Sperry saw that a store in Milwaukee (Schuster's Department Store) was having success in its sales by issuing the stamp program. Other ​brands included Top Value Stamps, Gold Bond Stamps, Plaid Stamps, Blue Chip Stamps, Buccaneer Stamps and Gold Strike Stamps. 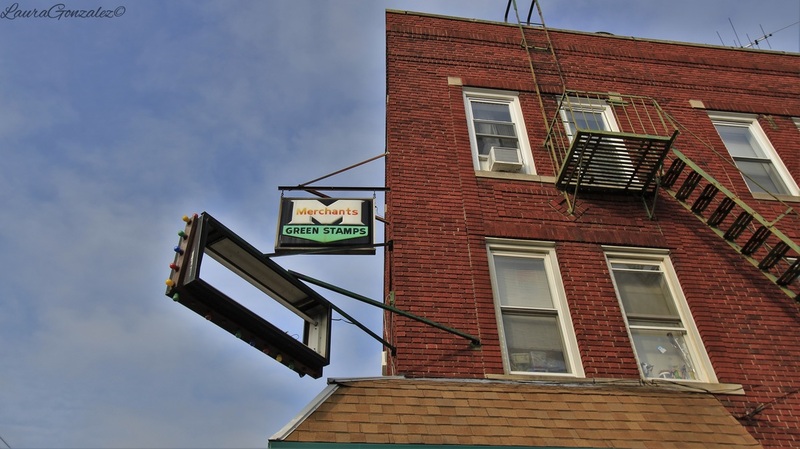 I decided to do a bit of research on what the green stamps were after driving near Journal Square in Jersey City one day when I noticed on the corner of Baldwin and Court House Place, is a old Merchant Green Stamps sign. Merchants Green Stamps was Pennsylvania company and a smaller competitor of S&H Green Stamps. Food Fair and Pantry Pride was known for issuing Merchant Green Stamps. With the coming of the recession in the 1970s, rewards for shopping just wasn't cost effective and the stamp program was impacted heavily. Businesses that gave trading stamps were thought to have higher prices. 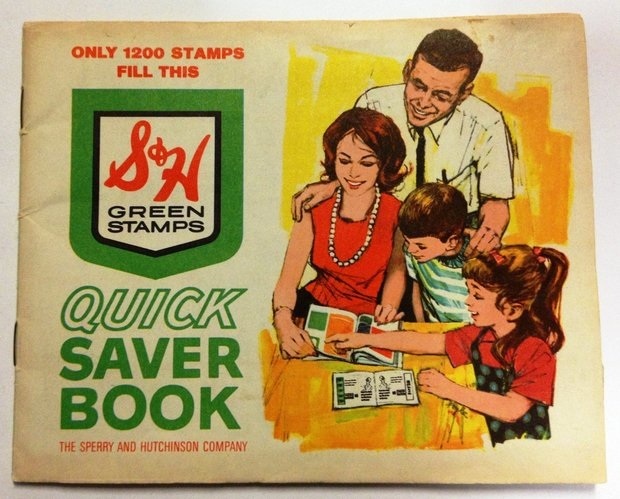 Then came the 1973 oil embargo and gas shortage and the stamps ended at gas stations since consumers would shop at the gas station with the lowest prices, not the station that gave Green Stamps. the old stampsAre trading stamps worth anything now? Well there are collectors of the old stamps and there is also a online version. 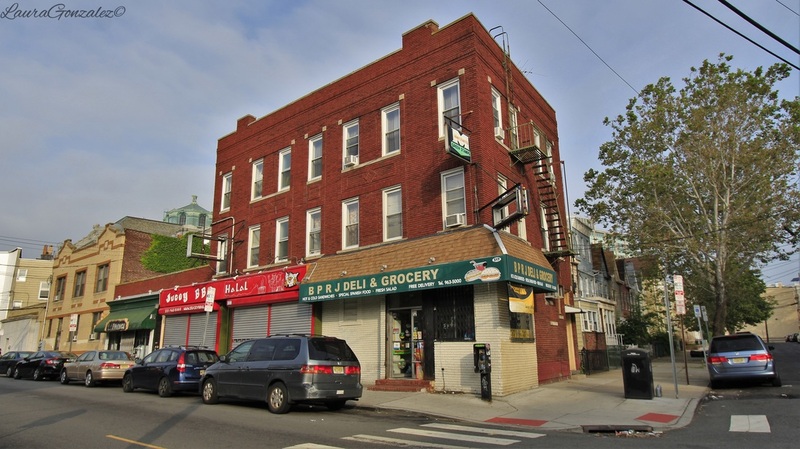 I came across a site called greenpoint.com which is the new age online version of the green stamps. 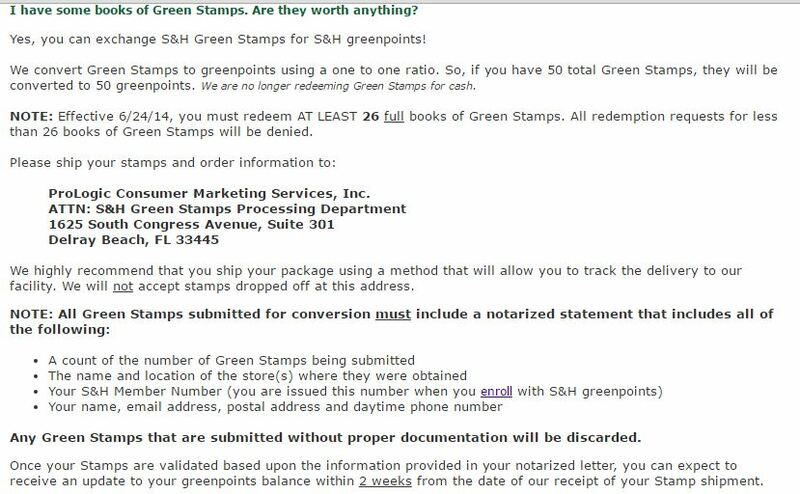 S&H, the people who invented the green stamps rewards currency have brought them into this century as S&H greenpoints. According to the site, you can send them the old stamps and convert them into points.